The animating in React article touches on my favorite first step to building any animation from a prototype, no matter what tech you’re using: watching it in slow motion. You can do this with Quicktime, gif scrubber, or even your browser dev tools depending on what the source of the prototype is. Having that step-by-step view of what actions happen in the animation makes building it accurately so much easier. Most UI animations we build happen in just a few short milliseconds, but a whole lot can happen in those tiny blocks of time! Getting all the pieces in the right order at the right time makes a big difference in the quality of the end animation. Trembly SVGs and floaty images make this agency work carousel unique. The visual persistence of elements on the page transitions is a nice touch too. That really helps to tie the page transitions together. 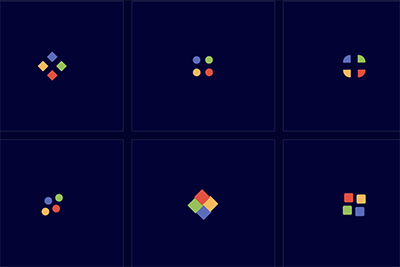 A few alternate takes on the Google loader, all done with CSS. 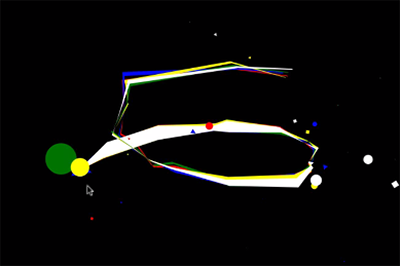 There are so many motion possibilities even with the simple shapes and small colour palette. 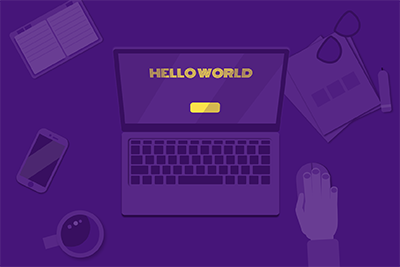 An animated desktop scene by Yiting Liu all drawn and animated in CSS. I wish my desk looked this neat. Need a loader for your breakfast? 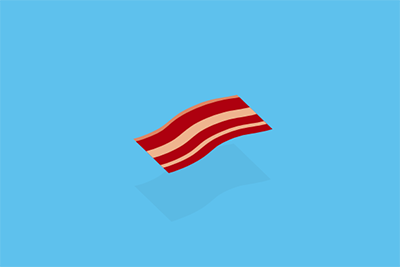 How about this wavy bacon loader like this fun one from Chris Gannon? It’s made with SVG and GSAP. Bright colours, fun made up words, and dynamically drawn SVGs! What's not to like in this mouse chaser from Steve Gardner? Simple might not be a word you’d usually use to describe a React project, but Alex Holachek does a good job walking you through how to build complex UI animations using React, styled-components, and react-flip-toolkit. Even if you never plan on working with React, the part on breaking down the animation covers a solid way to start when building any UI animation. Both a nice bit of animation and a nice visual way to see how matrix transforms work. Both of which are probably interesting to you if you animate with CSS! A video of Stephen Shaw’s talk from CodePen Huston where he walks through some of the animation techniques he used for an animation-heavy micro site. Lots of interesting tidbits in this one!